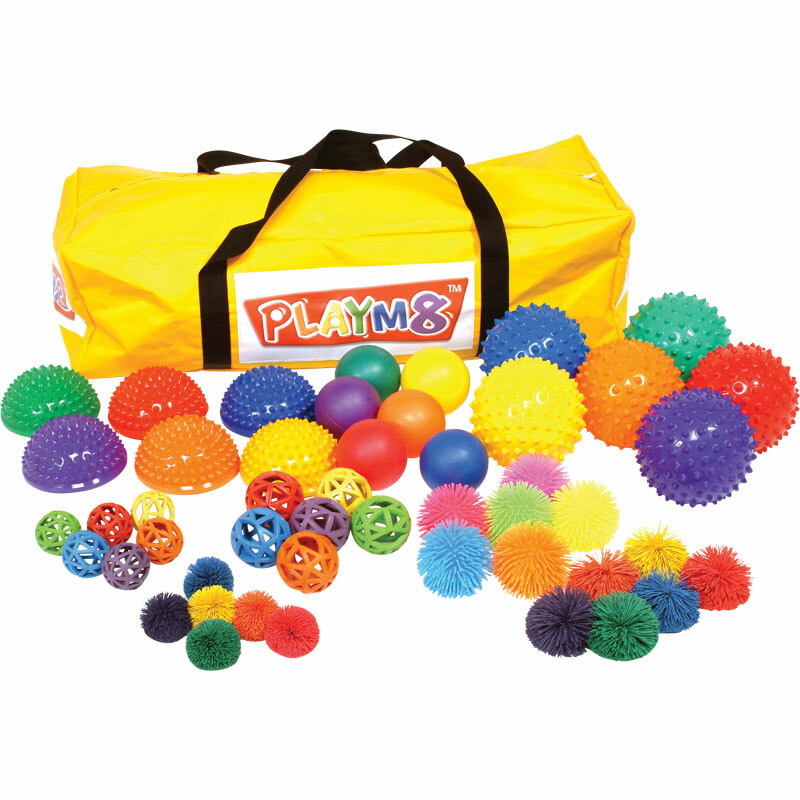 The PLAYM8 ® Sensory Play Pack is ideal for encouraging early co-ordination and ball handling because of their unusual texture. A selection of tactile equipment with different textures in the six bright colours of PLAYM8 ®. They are also useful for children learning basic colours. Comes in PLAYM8 ® Yellow Storage Bag.